It has been one week over since the final of the 100th Davis Cup by BNP Paribas Final has been played in Belgrade, Serbia. NIS Davis Cup Team Serbia faced the Team of the Czech Republic in their home arena “Kombank Arena Belgrade”. Davis Cup is an annual team competition. In 2013, 130 nations have entered Davis Cup by BNP Paribas, making it the most prestigious team championships of the tennis world. Furthermore those nations are making it to the world´s largest annual international team competition in sport. The World Group has 16-nations, contested over four weekends during the year. The remaining countries are then divided into three regional Zones depending on their location. 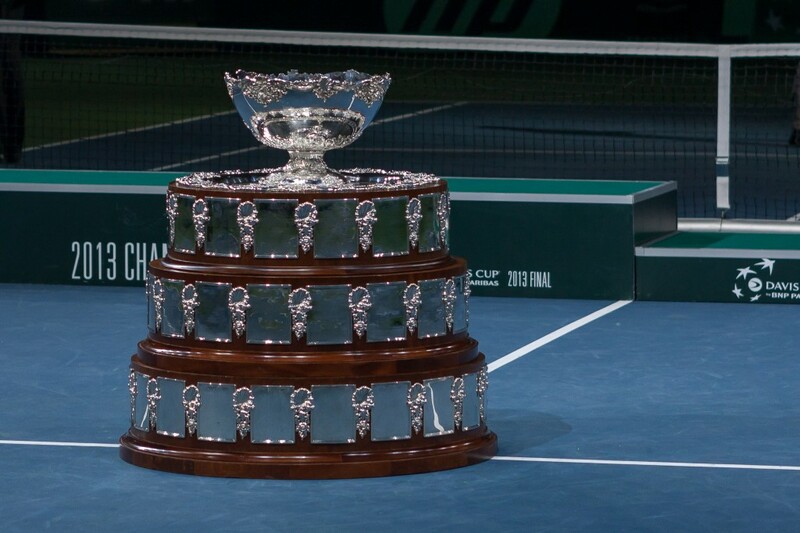 2013, the 100th anniversary of Davis Cup has been celebrated. 100 years ago the inaugural tournament was conceived by Harvard University Tennis player Dwight Davis. In that time it was contested by only two nations: The USA and Great Britain. Nowadays it´s more than just playing tennis for your country, the team spirit rose to another level. Good sportsmanship, nationalistic camaraderie and hard-working professional players combined with juniors are competing in one team. Tennis, besides the Davis Cup, is a highly individualistic sport where everybody is just competing for him-/herself or its doubles team. Davis Cup has created an importance of team bonding and genteel competitiveness between mates. Nations have had to overcome socio-political strife, economic hardship and corruption just to be able to compete and win on the world stage level. Hard work combined with the great talent of Novak Djokovic helped Serbia to win the Davis Cup 2010 and to be the 2013 finalist. Teams of East Europe are competing very successfully in the past decade at the Davis Cup, only because of the Team Spirit? It´s common to see, in those nations that the teams which are appearing as a team and not as a bunch of individualists. Those players are often coming from the bottom, they have nothing and they see the opportunity to achieve something good, not only by themselves but also in a team. Fighting for the nation and showing their love is one of the foundation stones of the teams. “Victory! A simple word. So short – and yet how impressive. The end of an effort begun in 1922: so many matches played in all the countries of the world, so many endless thousands of miles traveled over, so many hopes shattered as soon as formed and today finally realized. The Atlantic crossed and recrossed seven times. Months and months passed in dreaming of this day! And at last it had come” said Lacoste about the Davis Cup!